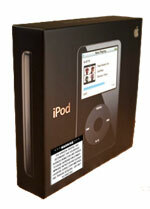 Should iPods Carry Warning Labels? A supplier of tinnitus treatment products, T-Gone Remedies, is calling for warning labels to be printed on MP3 players, especially those with the output capabilities of the Apple iPod, which can reach 120 decibels. iPods and other portable media players have come under increased critical attention in the last year or so – being blamed for muggings, hearing loss and even killing Scotsman. Now, T-Gone is recommending that players like the iPod get warning labels. 70% of respondents younger than 40 years of age were also habitual MP3 users and blamed the use of portable media players for their hearing loss. “It is indeed our opinion that all MP3 players including the Apple iPod should now have a warning label or statement printed prominently on the device,” stated John Currie. “Tinnitus is currently experienced by about 17% of the population but I predict a huge increase in the numbers of tinnitus sufferers within the next few years unless something is done to warn people of the dangers they face when they put those cute little earphones into their ears!” adds Currie.